Alex Adam was a CanAssist Board member, friend to many in Canada and East Africa, and a driving force to build the Nkuyan Primary School in rural Kenya. Alex passed away in December 2009. The Nkuyan School will henceforth bear his name. The remote community of Nkuyan, in the heart of the Rift Valley, is miles from a highway, electricity, water supply and schools. The Maasai children who live in the community have needed to walk several kilometers to the nearest school. Education for both boys and girls has been identified as an important priority by the community. Working with the Mainyoito Pastoralist Integrated Development Organization (MPIDO) Canadian donors have supported the construction of a three-classroom school in this village, the beginnings of a school that will eventually be able to serve the education needs of the community. CanAssist provided funding in 2008 to construct five Ventilated Improved Pit (VIP) latrines in permanent cement block structures at a cost of approximately $8000. The remoteness of this location makes all construction more expensive. On February 20, 2009, representatives of CanAssist joined with the community to celebrate the official opening of the school. This community is quite literally in the "middle of nowhere" and the people here are most appreciative that their children will get the opportunity to go to school. Education has been shown to be an important element of improving the human capital in a community. Better educated children become informed adults that can lead their community forward out of impoverishment. CanAssist has been actively involved with the development of the Nkuyan School, working in partnership with the Mainyoito Pastoralist Integrated Development Organization (MPIDO). We have built classrooms, latrines, rainwater catchment facilities and administration office. The school now has about 120 students and has been registered with the Kenyan Ministry of Education. The community has asked for support to construct another classroom at the school as the school population grows. They also have asked for help renovating a nearby church building that is currently providing space for early childhood education and a rudimentary teachers accommodation building. We hope to support all of these initiatives over the next several months. 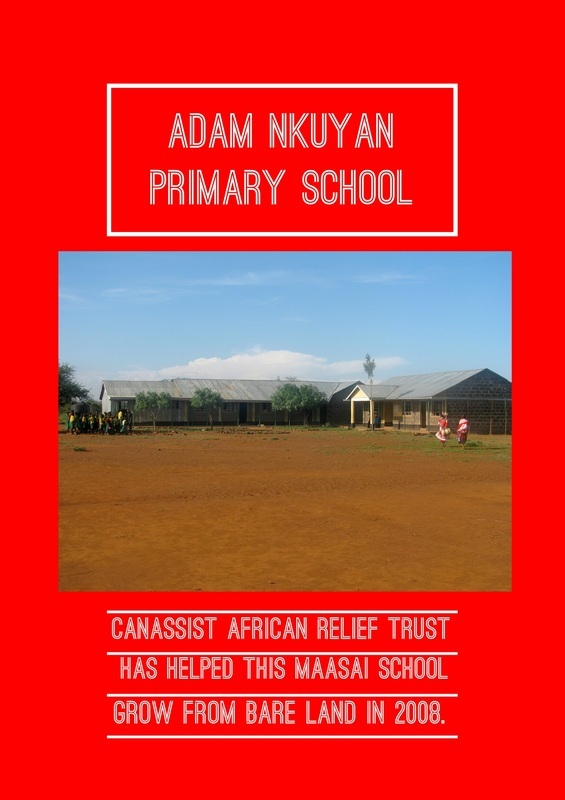 If you would like to help to fund these projects at the Adam Nkuyan School, please indicate this with your donation to CanAssist. or by using your credit card and the secure Canada Help link below.